A super-clear, high-gloss polyester film. For ink jet, plain paper, and photographic prints. 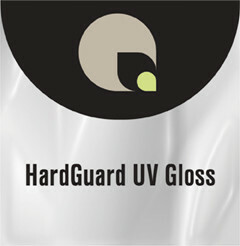 Hard Guard Gloss provides added rigidity and protection from abrasions, moisture, oils, and dirt. It’s suitable for single- or double-sided applications and features a low-melt adhesive system with UV inhibitors.